But for Muslims in my neighborhood and all across Indonesia, it’s once every year. Today is Eid al-Adha, the Muslim holiday that calls for sacrificing cows and goats and sheep, because Ibrahim had sacrificed his son as affirmation that he loved God above all else. 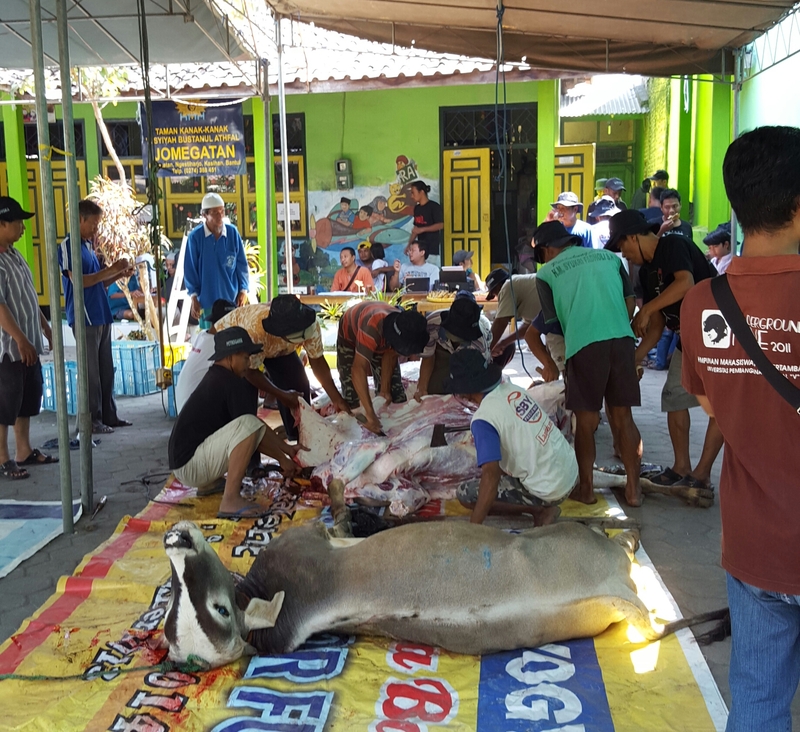 Members of the community who are able to donate a cow will receive a third of the meat, and another third will go to friends, family, and neighbors. The last third goes to the poor. 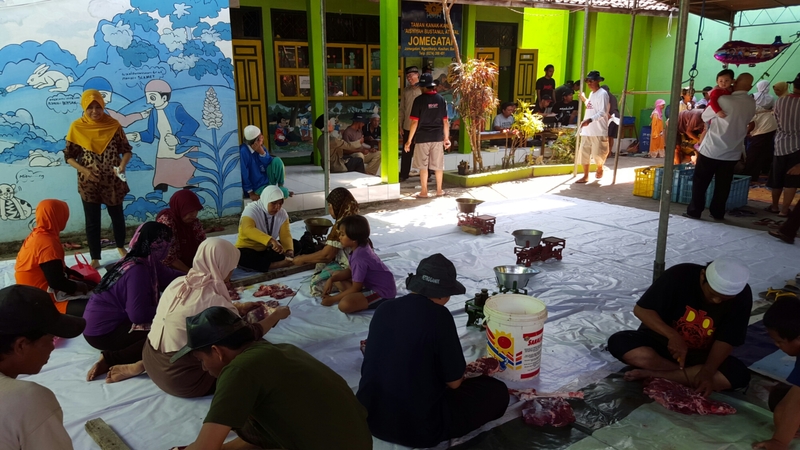 Charity is one of the Five Pillars of Islam, and Eid is a time of great community engagement. These animals are well-fed, and respected. Cutting the jugular is swift and performed with a very sharp knife for the least amount of pain. The one who cuts is usually a religious leader in the mosque, Imam Masjid, and will recite “Bismillah Allah Akbar” before cutting. 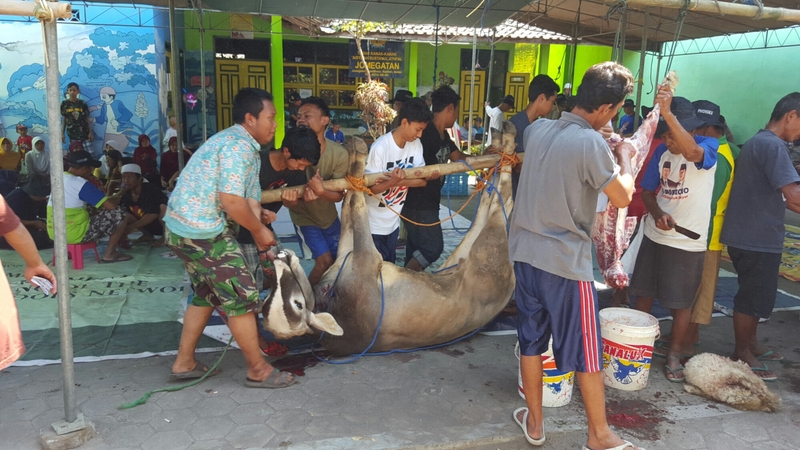 This verse makes the sacrifice halal, and then community members can begin skinning and preparing the meat. My apologies if these pictures are gruesome for anyone, but I thought they really captured the essence of community collectivism that I witnessed this morning. All hands were on deck, and men, women, and children were all present and very much a part of the process. Everyone helps, and everyone benefits. The Festival of Sacrifice is a beautiful tradition. 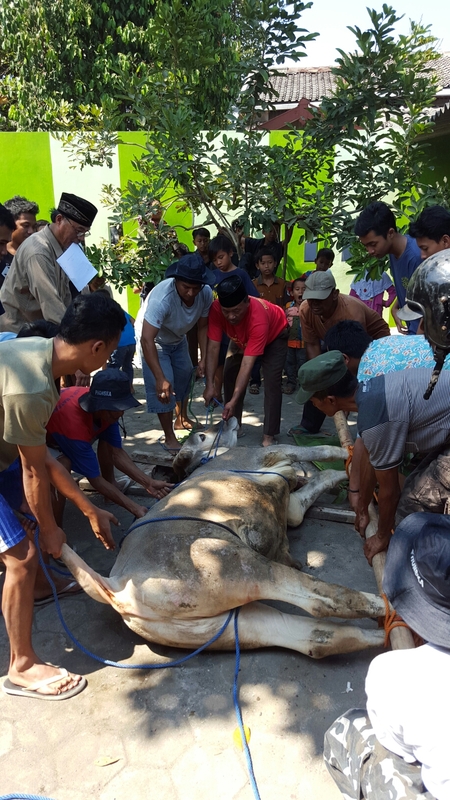 The respect the community had for these animals made their death seem natural, and as the cows and sheep bled out into a well of blood in the ground, I never felt like I was watching something terrible. 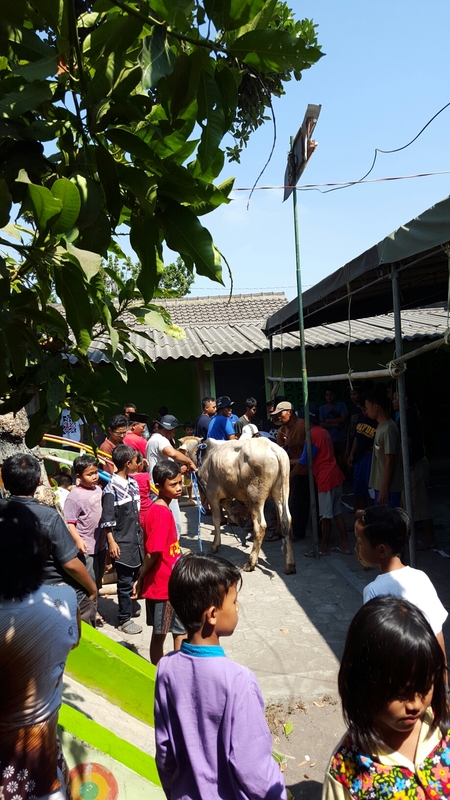 The people in this community cherish what these animals mean, and I left the mosque very much in awe of this special Muslim tradition.